This week we talk about blue belts. Getting a blue belt is an important step in your jiu-jitsu life. You will not forget the day you got the blue belt. 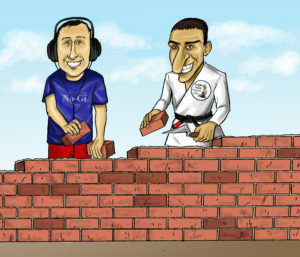 It is often the first major mile stone in BJJ. 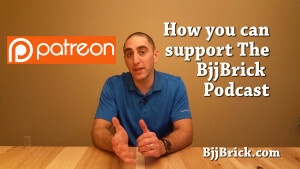 This episode we talk about the ups and downs plus share a few stories from being BJJ blue belts. We defy information about a seminar in Wichita Kansas. I ran across this scenario and subsequent question not long ago: A white belt 6-8 months in has developed a decent closed guard but when his guard gets broken he has no answers to prevent the pass. His question was, “what’s another guard I can add to my game?”. That’s a great question, but a better question might be, “how do I figure this out myself? — how do I determine which positions and techniques to add to my game?”. Most grapplers will find themselves at the point of needing to evolve and expand their game many times during their journey. Sometimes you will adjust your game for competitive reasons, because of injury, or simply to continue moving towards a complete game. 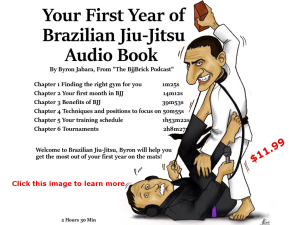 If you have a sound methodology for making these kinds of jiu jitsu decisions the process will become more efficient allowing you to progress more quickly. Here’s a few questions you can ask yourself during the process. Have you explored all the options in the game you’re already playing? I would not try to discourage someone from expanding their game, but before you abandon something that has been successful, but no longer is – it may be worth spending some time trouble shooting. Perhaps with a few simple tweaks, you can get some more mileage out of that position. This may be especially relevant if you are trying to solve a problem for an upcoming tournament. A month before competition is not the best time to be revamping your game. Does it solve the problem? If your training partners are using standing guard breaks and passes, spending a month studying half guard might not be as effective as spending a month transitioning from a broken closed guard to a single leg x guard, x guard, or de la riva guard. Does it fit with the game you are already playing? Adding a new element will be easier if it shares some commonality with the game you’re already playing. All jiu jitsu fits….so maybe a better question here is “how will I make this fit into my game?”. Does it fit with your physical attributes, skill set, and experience level? Every jiu jitsu practitioner has a different body type with different physical attributes and therefor certain positions and techniques will work better for some athletes than others. This definitely should be a consideration when expanding your game. Is it the next logical step in regard to complexity and difficulty? If the two takedowns that had been working for you no longer are, then getting the fight to the ground would be a problem for you, and adding some additional techniques would make sense. Learning to do flying triangles and flying arm bars could be a possible solution, but you need to have the requisite skills in place first. If you are not already proficient at arm bars and triangles from more traditional positions and during transitions, then doing flying variations is most likely not the next logical step. What does your coach think? If you have reached a point where you must expand your game to address a weakness, odds are your coach has also noticed you have an issue to address and has some direction for you. You can catch your coach before or after class, or even better, schedule a private lesson with them. In conclusion: Efficiency is a core concept of jiu jitsu. Efficiency of movement is one of the things that allows smaller, weaker, or older people who have trained to prevail over those who haven’t. Why not apply this same principle when it comes to building your game? This week we have a HUGE episode. 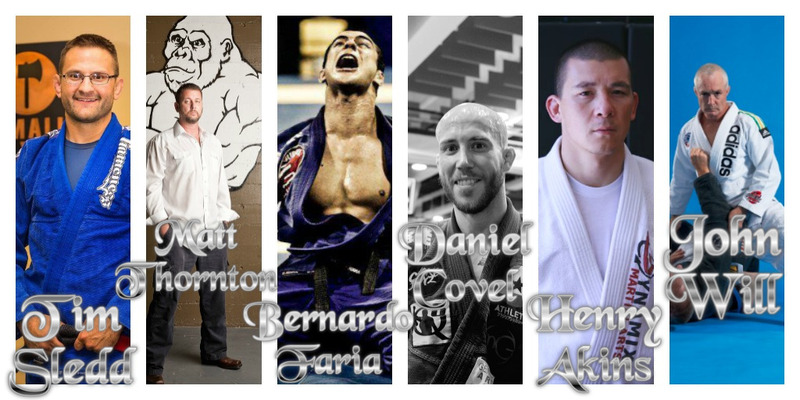 We take six well known and respected black belts and ask them all the same five questions about blue belts. There are some similarities and differences within these interviews but the amount of jiu-jitsu wisdom about blue belts in this episode is amazing. Do you have requirements for a blue belt? What are they? How important is it for students to be able to “defend” their belt? How many intangibles (good teammate, good effort, helps others) come into play when promoting someone to blue belt? Do you ever regret giving someone a blue belt? What advice to you have for the new blue belt? Tim explains some of the techniques he requires for a student to know before receiving a blue belt. Tim talks about why some students get tapped by lower belts and if it is a big deal. Why he looks at character of a student not just technique, and how this can hold someone back. Why he has no regrets of any belts he has given out. Advice for the new blue belt. How he evaluates blue belts based on performance, and not looking at particular techniques. Why it is important for your first blue belts to be very good at a school. The importance of having good people on the mat. Why he is confident in all his blue belt students. Why it is important to relax and work on open guard as a blue belt. Bernardo talks about Fabio Gurgel’s system to get a blue belt a student must attend 120 classes. The idea of not tapping to a lower belt is an old mentality. Having a bad attitude will hold students back. Not having an actual belt test, and not regretting giving someone a blue belt. Keep your ego low, and work on learning jiu-jitsu. His minimum requirements of techniques for a blue belt. The responsibilities of the instructor to the students. The importance of learning from your mistakes, and making adjustments. Why it is important to have good people and teammates on the mat. He has no regrets about any of his past blue belts. It is important to recognise the hard work on the mats. Understanding the basic positions and a handful of basic submissions. Why some upper belts get caught by lower belts. Why it is important for a blue belt to be a good training partner. Why blue belts should work hard to develop a strong base. Why he likes having requirements for blue belts but not so many for other belts. It is rare for a colored belt to get tapped by a lower belt, but it is no big deal. Why the culture of the gym is so important. The concept of a ox neck and rat’s head. Ask five simple questions for every technique you learn to learn more details. 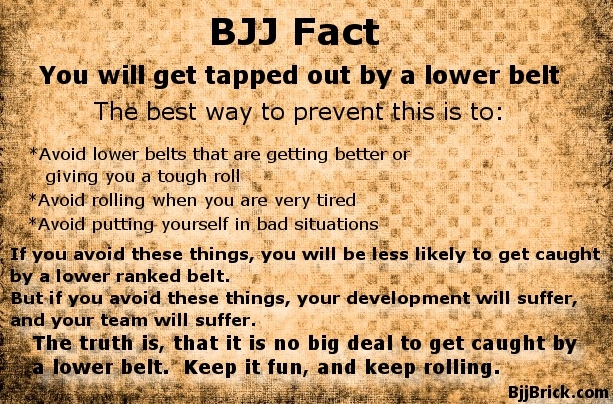 You will get tapped out by a lower belt, it is just a matter of time. by a lower ranked belt. and your team will suffer. The truth is, that it is no big deal to get caught by a lower belt. Keep it fun, and keep rolling.